Within a rapidly changing landscape of contemporary theatre and performance, the roles, functions and working conditions for dramaturgs are being redefined. This issue interrogates contemporary dramaturgy as an expanding field of tasks and skills, problems and strategies. 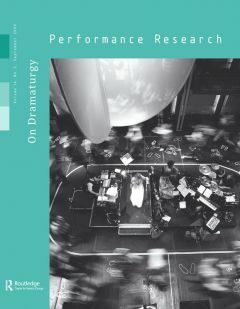 It explores a wide range of dramaturgical practices in contemporary European theatre, dance, performance, and media art, and also draws attention to the pedagogical and institutional aspects of dramaturgy. 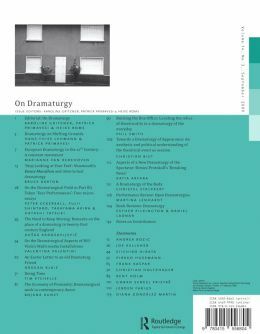 In addition, On Dramaturgy addresses the shared and collective nature of dramaturgical practice and proposes dramaturgy as a critical reflection on the politics of space and representation. The issue also considers the relationship between dramaturgical practice and the audience, exploring the emergence of new dramaturgies of/for the spectator.